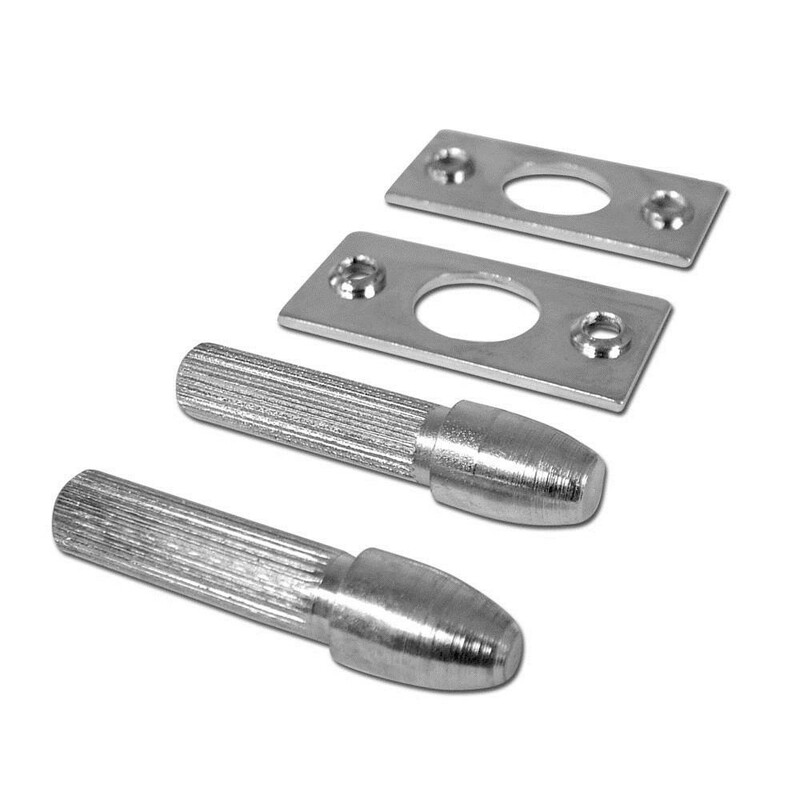 The Asec Door Hinge Bolts are very simple to install but very effective against common types of hinge attack. A hole is drilled on the edge of the hinge side of the door and the bolt is simply driven in. A hole is then drilled in the door frame to accept the bolt and the supplied strike plate attached (fixings supplied) for a neat finish and strong installation. Shutting the door locates the bolts in the holes in the frame giving additional protection against the door being forced off its hinges. Two bolts are usually installed per door and are highly recommended on external, outward opening doors eg french doors, where the door hinges are exposed to attack from outside.